Why might Bernardo have set The Secret of the Bulls before the revolution? Is he nostalgic or critical, or both? How does it affect the style of his writing? What roles -- both literal and symbolic do bulls play in The Secret of the Bulls? How does the author develop the phrase, "secret of the bulls" as a metaphor? What is the secret of the bulls? What is Mani's relationship to the bulls? What is the significance of his working in a butcher shop on the street where the bulls race to their death? In the world of prerevolutionary Cuba, what roles do men and women play? What accounts for their inequality? What consequence does this inequality have for both men and women, for the family, for society as a whole? 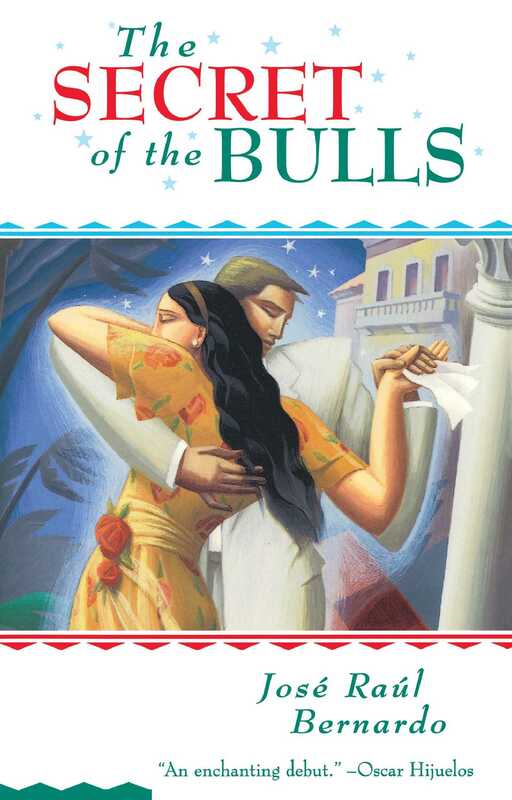 Bernardo explores the psychology of machismo in The Secret of the Bulls. What conclusions has he reached? What conclusions did you reach? Is it true that underneath the machismo that defines the lives of Cubano men, these "bulls" are really controlled by the women they love? Human sexuality is a strong current in the book and Bernardo treats it openly and passionately. Discuss its importance to the novel, to the lives of its characters, and to the Cuban world Bernardo has created. How does Bernardo treat the subject of homosexuality? Are his homosexual characters limited by the dictates of the prevailing machismo culture? If so, how? Of all the characters in the novel, why is the homosexual character Tonio the one who dies? What is Bernardo saying? What is Dolores's role in the novel? Why is it significant that she never knew her mother, leaves her father, and marries a man beneath her class? How do these facts have a bearing on Mani and the conclusion of the story? Dolores tells Mani, "We are not like those bulls. They are afraid because they have no choice. They have to follow someone else's path. They don't know where they are going. But we know they are rushing to their death, just as we know we are rushing to ours. And that is why we don't have to be afraid, Mani. Because we know with absolute certainty that no matter what path each of us takes, that path will eventually lead us to our final destination, Mani. To our own death. So, Mani, my son, even if the rest of the world does not like it, we might as well choose a path of our liking and move on it at our own speed." What relevance does this quote have to the book, to the secret of the bulls, to Mani's destiny? Why might Bernardo have chosen Dolores as the instrument of Mani's transformation? What is it Mani needs to be freed of? How else does Dolores help to free Mani? Why is it important to Dolores and to the novel that Mani be freed? Dolores says, "The royal palm trees stand tall and proud, don't they? And yet they bend down whenever a hurricane rushes through their lives. Because if they didn't, tall and proud and beautiful as they are, they would all break and die." What significance does this metaphor have in the course of the novel both for the story and for the characters? How does Mani reconcile himself to not killing Graciela and her lover even though it might mean the ruin of the family name? What might Bernardo be trying to say with this departure from tradition? The character of Graciela possesses an innate innocence. Her feelings for her lover have such a purity of passion, that in spite of her marriage, Graciela believed her affair was not a betrayal but the consummation of true love. How did you feel about this? How did you react to Graciela? What does family mean to the characters in the novel? What is Bernardo's vision of family? Every character in The Secrets of the Bulls is an artist in their own right. Maximiliano approaches his butchering trade as a sculptor would approach marble. Gustavo is a poet in love with words and Merced and Mani share the eyes of a painter. Dolores brings art to everything she does from sewing to making the perfect cup of Cuban coffee. What does The Secret of the Bulls teach us about art and everyday life? About the aesthetic sensibility? What are the different dreams each character entertains? Which of them fulfills their dreams and how? What might Bernardo be saying about the importance of dreams? Latina: Women's Voices from the Borderlands, Lillian Castillo-Speed, ed.